Carry your team spirit on the go. 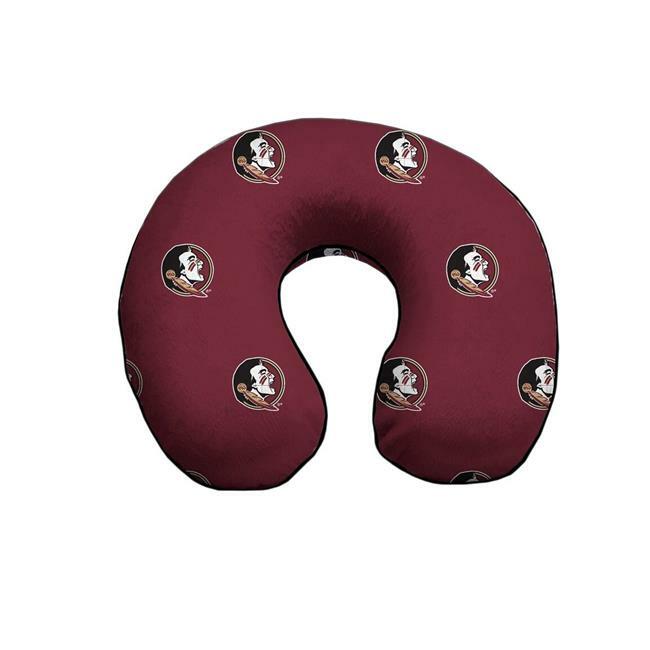 NCAA licensed relaxation travel pillows are the perfect way to represent your favorite team everywhere you go. Soft microplush cover with a soothing polyester fill provides comfort with snap button closure in front to secure fit while wearing or carrying on your suitcase. Perfect for travel on planes, long car trips or even wear to relax in the comfort of your own home. Easily works for long days sitting at your desk at the office. Comfortable and relaxing these convenient travel pillows will be your favorite travel accessory.